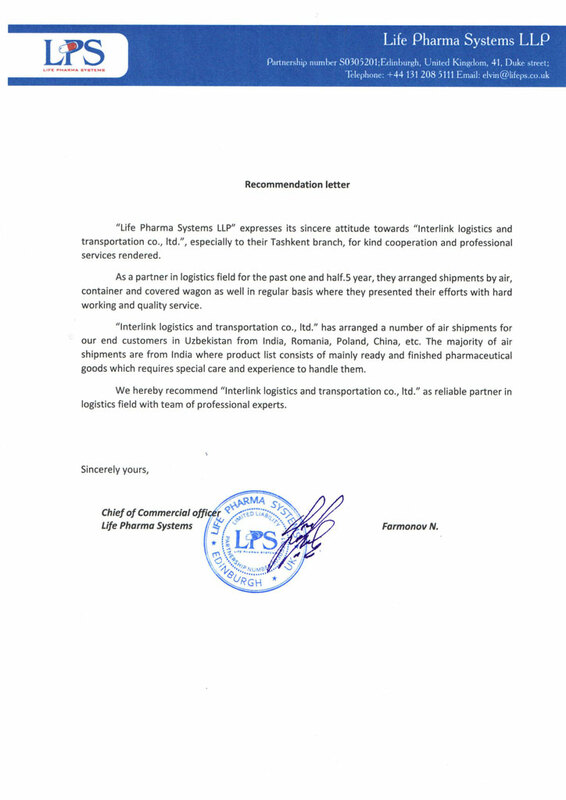 All transport and logistics transportation carried out efficiently and on time. 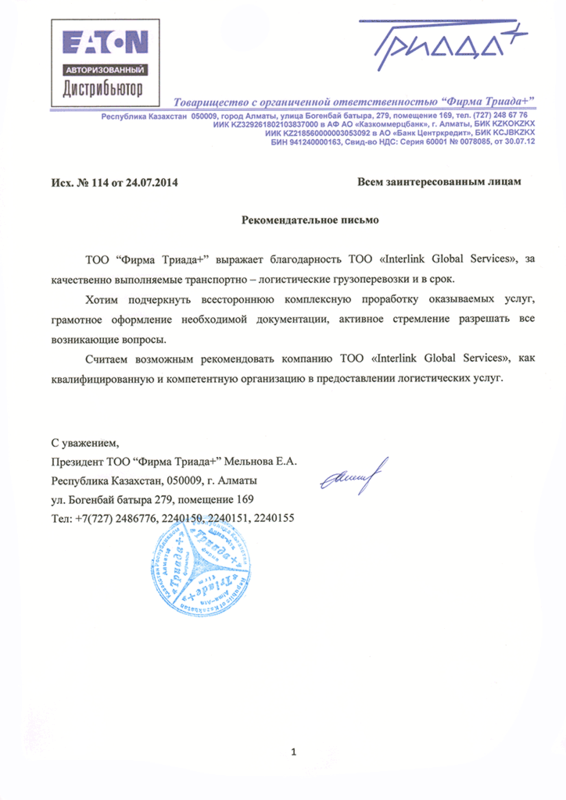 Efficient and constructive team, confidence and quality of services that they provide, lead to a further cooperation. 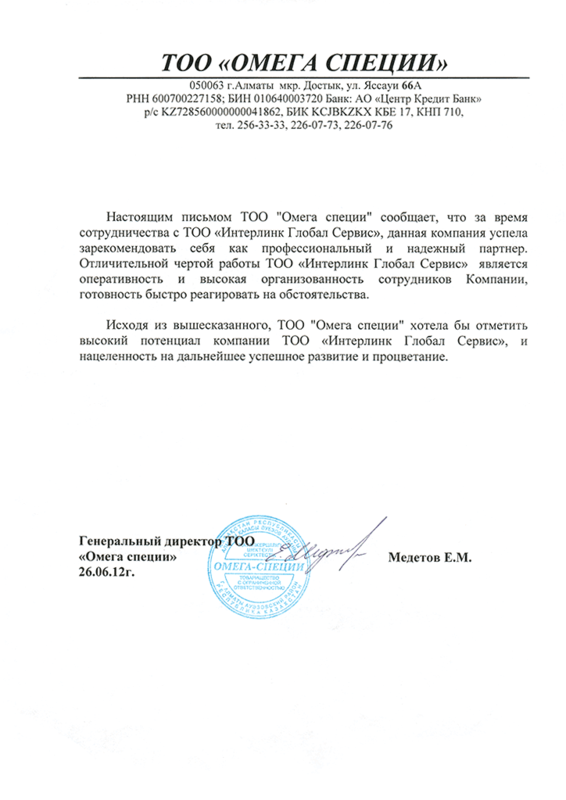 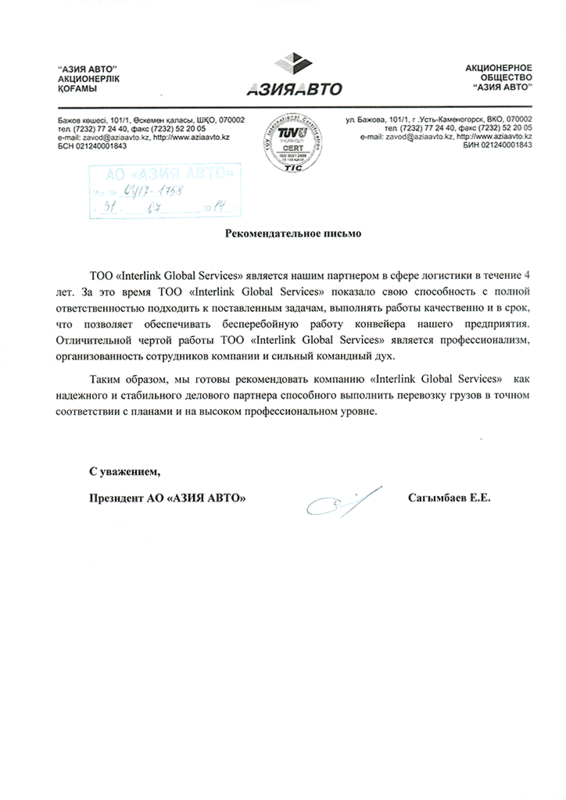 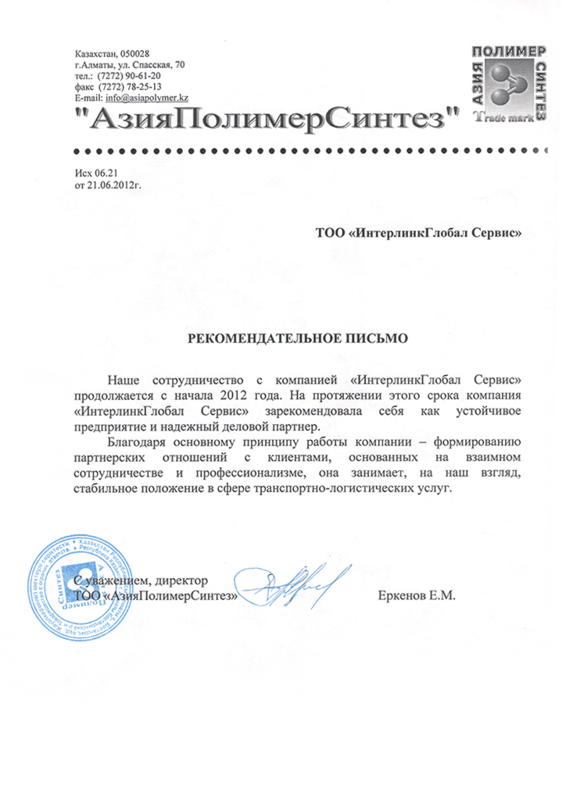 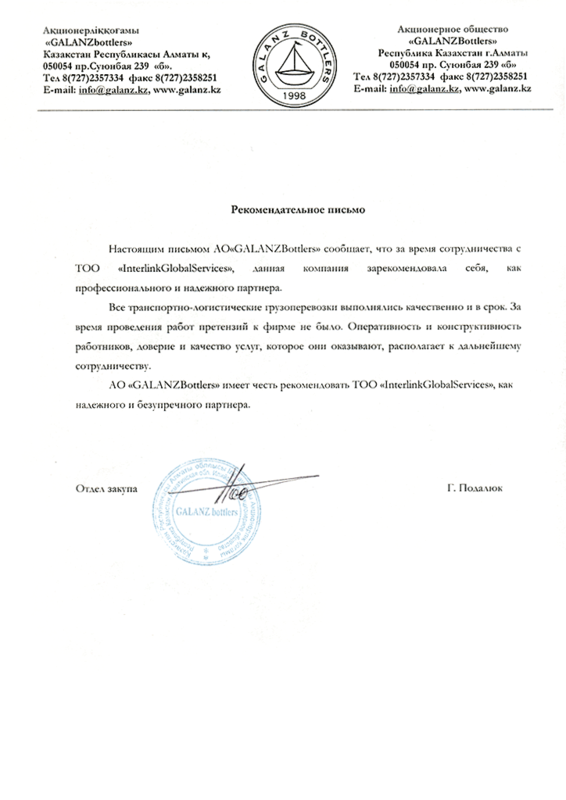 Podalyuk G., purchasing department Г., "GALANZBottlers JSC"
Our cooperation with "Interlink Global Services" company has been continuing since 2012. 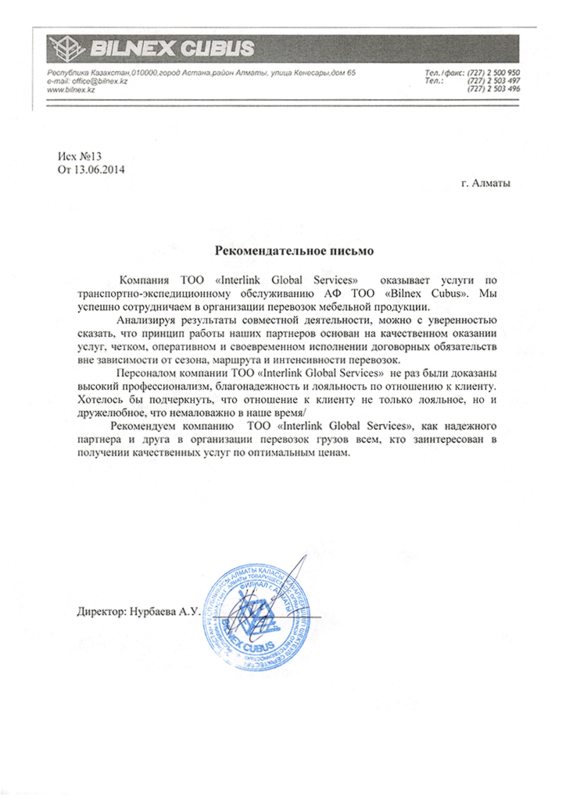 During this period "Interlink Global Services" company has established itself as a stable company and a reliable. 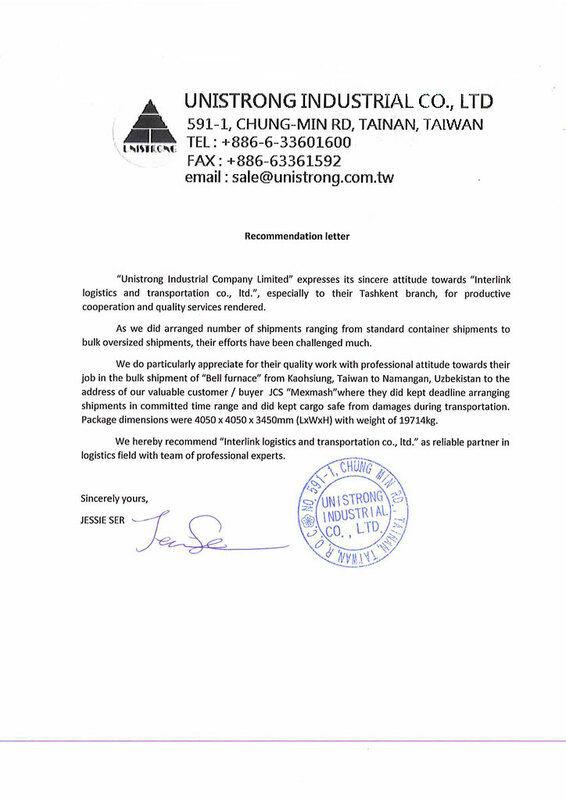 LLP "Omega spices" would like to note the high potential of "Interlink Global Services" company and focus on the further successful development and prosperity. 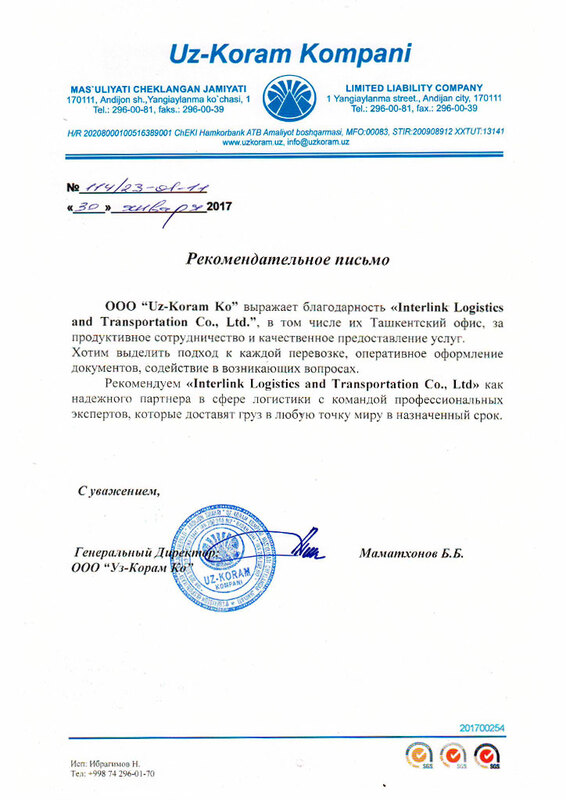 We highly recommend "Interlink Global Services" company as a reliable and stable business partner, capable to perform the transportation of goods in strict accordance with plans and in a professional manner.